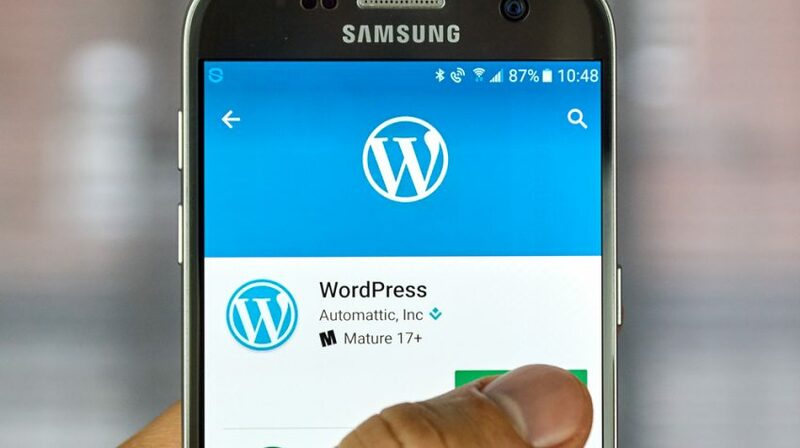 Currently running 27.5 percent of all websites (yes, all of them), WordPress dominates the World Wide Web and is among the best website builders for small businesses. One of the things that keeps WordPress at the top is the wide variety of both free and premium themes available to use. Themes enable you change the look and feel of your website, and more, with the click of a button and some themes are way more popular than others. 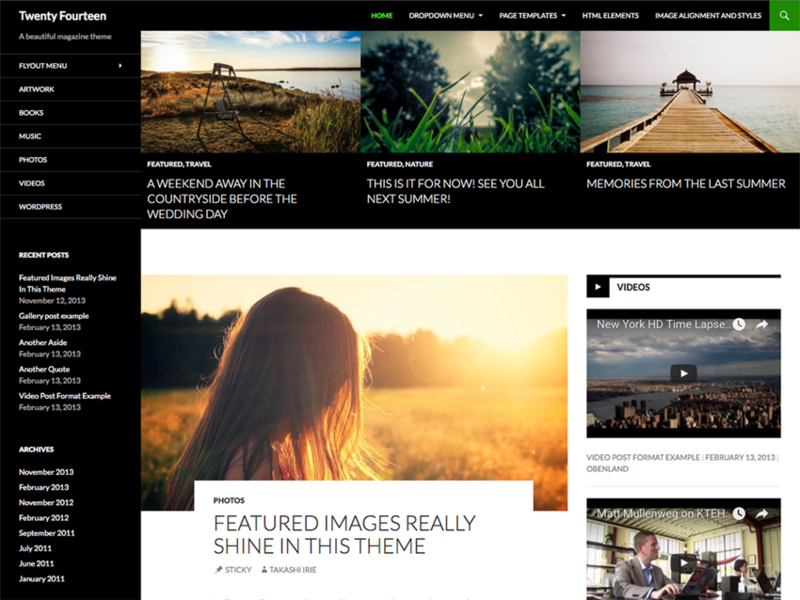 What Separates the Most Popular WordPress Themes from the Others? Display: custom widgets, shortcodes, and color pallettes. Layout: text columns, image sliders, and page/post layout. That isn’t to say that all of the popular WordPress themes provides a framework. Some of the top 10 are popular becuase they come with WordPress by default. 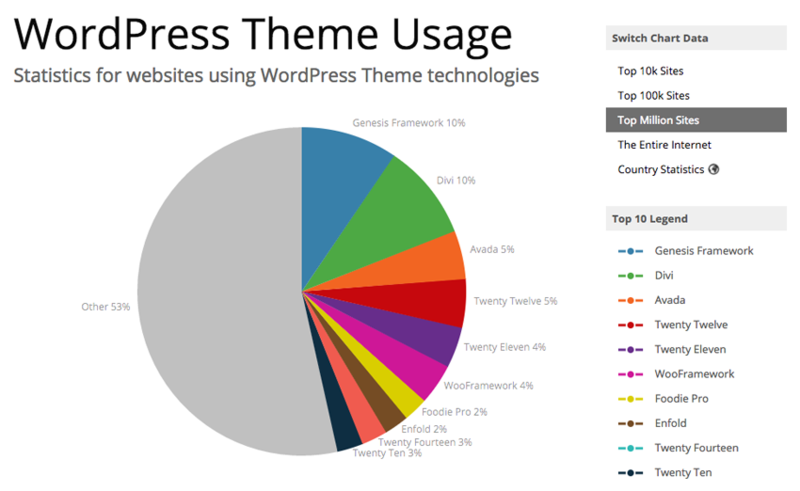 Which Are the Most Popular WordPress Themes? Let’s take a look at each of the 10 most poplar WordPress themes in more detail. 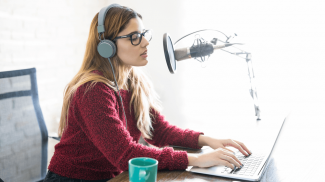 The Genesis Framework is the brainchild of Brian Clark, founder of the wildly popular (at least with bloggers, content marketers, and copywriters) Copyblogger site. Given that, it’s not surprising that many folks who start their own site opted to use the tool created by the person who taught them how to blog. Genesis comes packed with goodies including ways to changes the look and feel of your site, customize your header, and custom widgets. In addition to the basic look and feel shown above, you can also purchase child themes that work on top of the Genesis Framework. Some of these themes also extend the features and functionality of your site with custom post types and layouts. This gives you many ways to customize your site beyond the default so you can make it yours. Divi is chock-full of features and functionality. You can start with their 20+ templates or just get going from scratch. This theme focuses on the ‘what-you-see-is-what-you-get’ experience. You work right on your site pages, bypassing the regular WordPress editing features. This enables you to see what your page will look like before hitting the publish button, a great feature for non-techies. 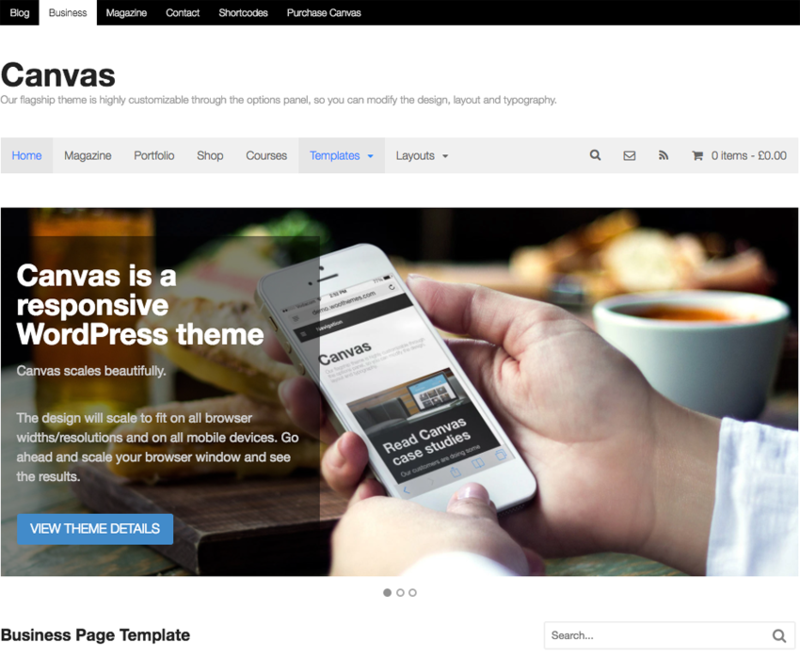 If you really like to tinker with the look and feel of your website, then check out the Avada theme. Avada comes with 22 built-in themes (the one above is Avada Resume), each of which can be customized down to the finest level of detail with no coding needed. 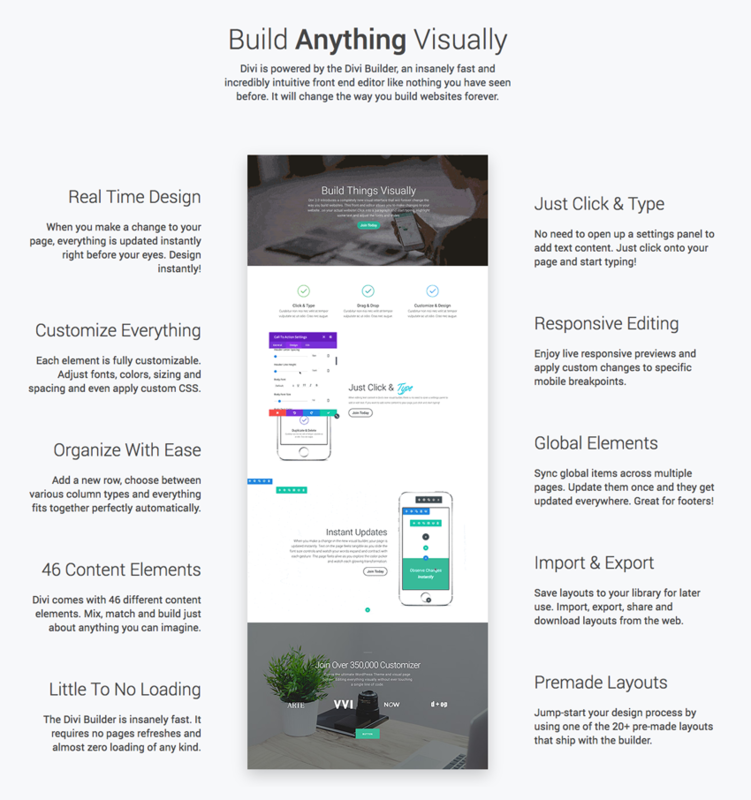 From portfolio pages to blog layouts and shortcodes galore, Avada has something for everyone, and then some. WooFramework come from the same folks as the very popular WooCommerce platform. 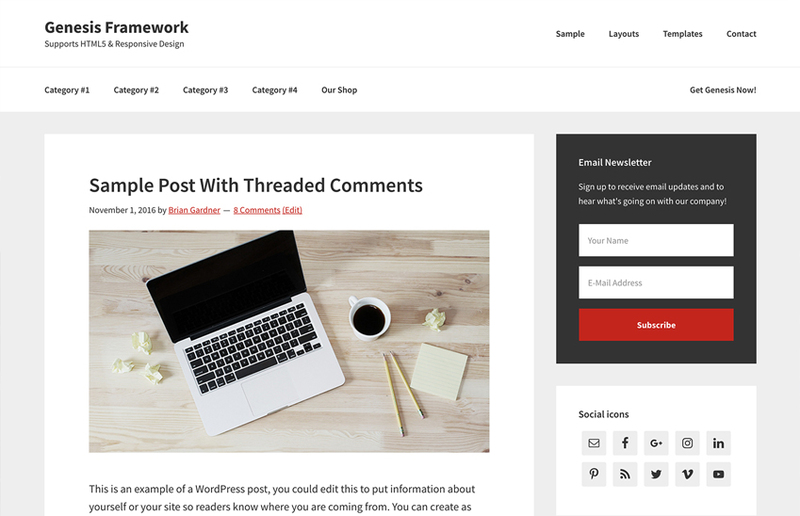 While you can buy themes like the one above, the place the WooFramework really shines is its ecommerce storefront themes. As you would imagine, those set of themes integrate seamlessly with the WooCommerce platform. So, if you need an online store up and running fast, this is the theme to check out. As you can see above, this theme has a clean look and feel. Despite the name, the theme can be used for any type of small business. That flexibility is likely the biggest factor in this theme’s popularity. 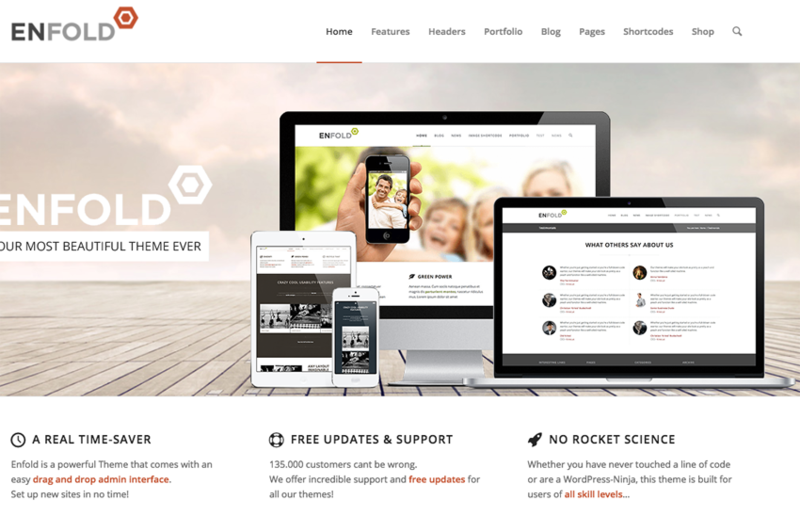 The Enfold theme is another super-flexible theme that can be used by any small business. 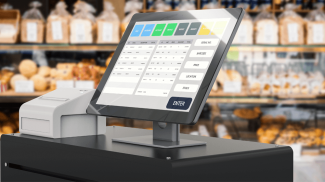 Enfold comes with 25 templates, many of which are for specific types of small businesses such as a spa, restaurant, photographer, and even a generic startup company. 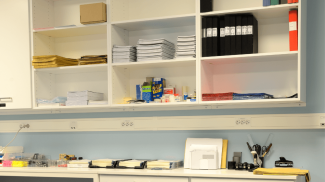 There are many useful features and functionality built into this theme, not as many as in Avada, but sometime less is more when you need to get work done. Since 2010, the WordPress team comes out with a new default theme each year. The four remaining themes in our list fall into that category. These themes do not come packed with features, they basically control the look and feel and that’s it. But simplicity is nice in it’s own way. Click here to download the Twenty Twelve theme. 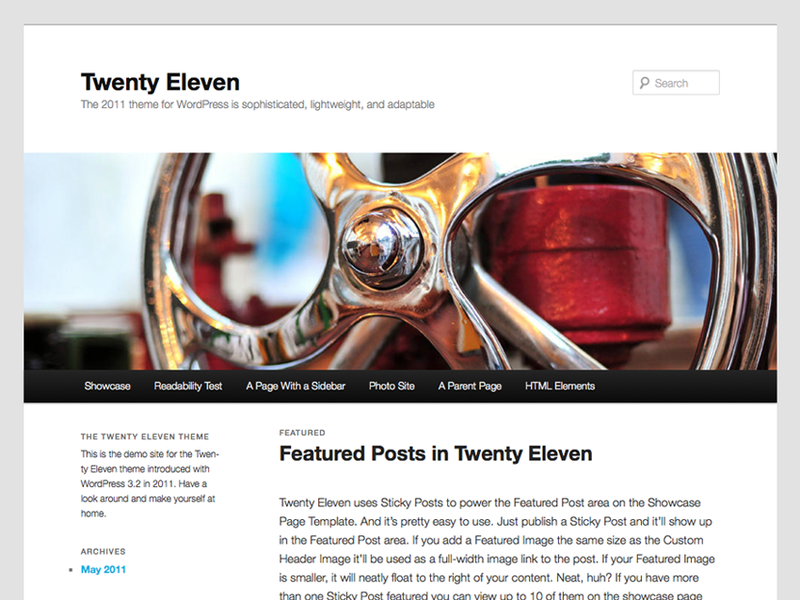 Click here to download the Twenty Eleven theme. 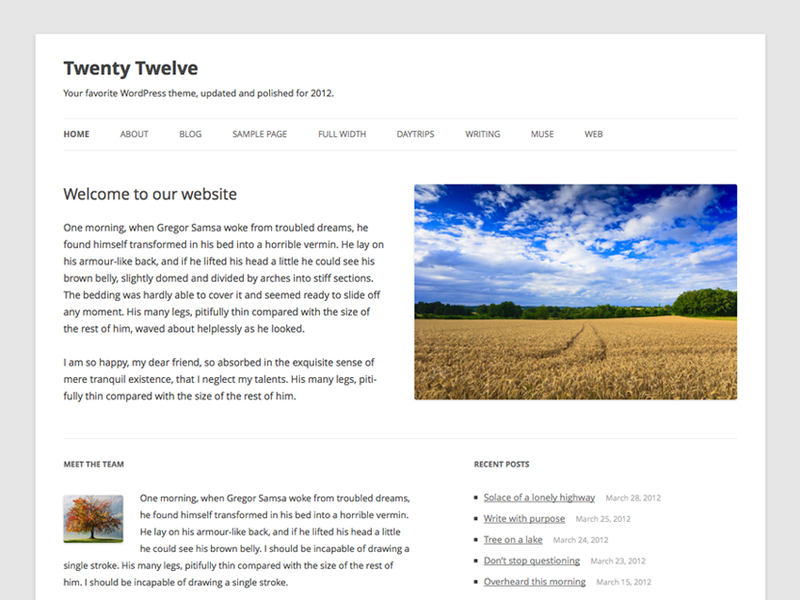 Click here to download the Twenty Fourteen theme. 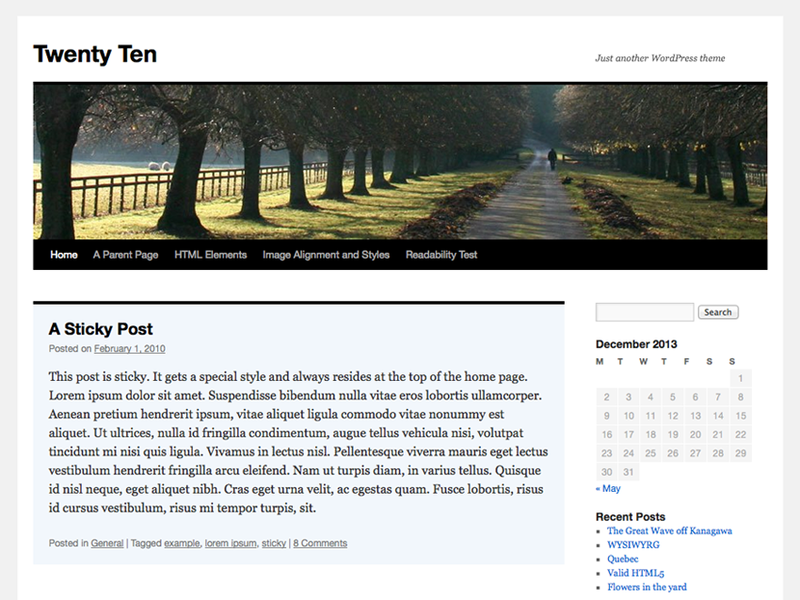 Click here to download the Twenty Ten theme. I’m not surprised to see Genesis top the list. I use it myself. However, seeing 4 default themes in the top 10 was surprising. I know the Genesis Framework. In fact, there is now a community around it. It is that popular. 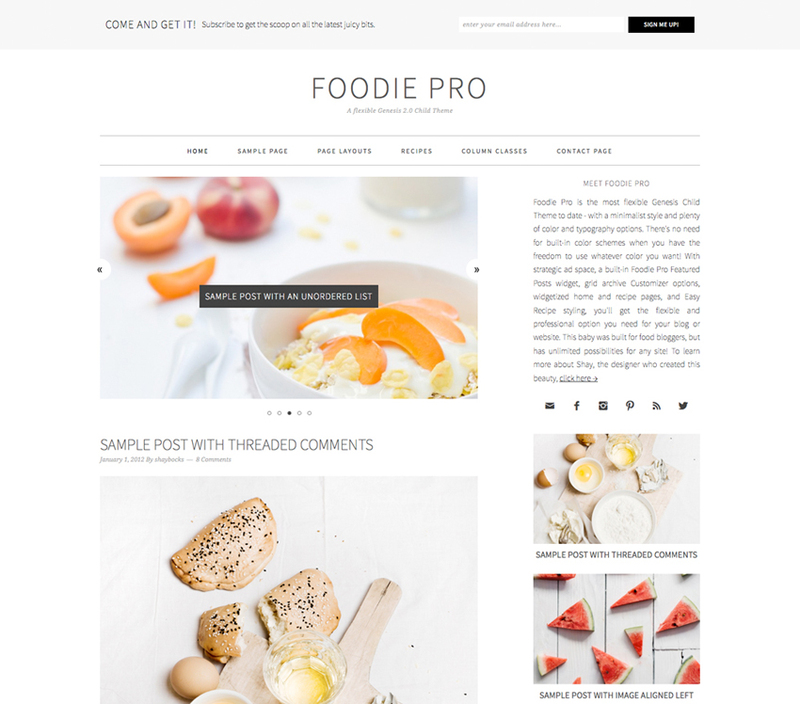 Foodie Pro is a Genesis child theme, therefore you have genesis on your list twice. Janice – yes however, Genesis has it’s own look and feel theme and that’s what folks use most. Then, of all the child themes, Foodie is the only one in the top ten. While they may share the same base, Genesis and it’s child themes differ in both look and feel and functionality.